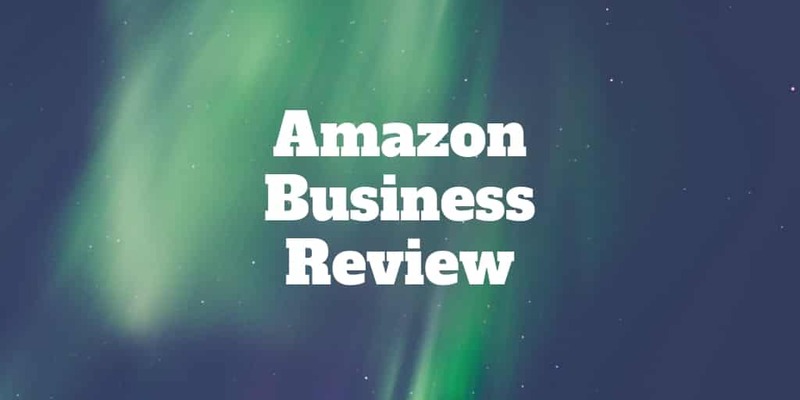 Home › Shopping › Amazon Business Review – Exclusive Discounts! Amazon Business Review – Exclusive Discounts! Amazon Business is a purchasing solution for businesses of all sorts. Each business chooses the people authorized to use Amazon to purchase supplies for the company and the individual in control of the Amazon account is the main administrator. This person can remove or add authorized account users, coordinate payment methods and manage shipping addresses, among other tasks. It’s all based on what the business requires. Amazon Business gives the organization access to millions of products, so businesses can find everything they need from office supplies to technical equipment. Why Sign Up To Amazon Business? Amazon Business provides a wide assortment of benefits and perks. Some benefits are available to all Amazon customers, but the most valuable perks and tools are only available for those with an Amazon Business account. Free two-day shipping: Members receive free two-day shipping on all Amazon Prime orders as well as all orders over $50. Exclusive business discounts: Depending on the product category, discounts are available on purchases that are exclusive to that business. Tax-exempt purchasing: Businesses that don’t have to pay sales taxes on purchases can use this feature when making buying decisions. Shared accounts: Businesses can use this tool to give certain staff members access to make purchases through the Amazon Business account. This feature can be combined with other benefits like purchasing system integration and order approval. Business analytics: Through these tools, companies can figure out how to save money on purchases and manage expenses. Business owners receive extra insights into spending practices. The benefits are designed to save businesses both time and money. Plus, companies may be able to eliminate the need to work with lots of different suppliers. Amazon Prime offers not only some of the same benefits as Amazon Business but different ones as well. Prime is geared more for consumers than businesses. Perks include free two-day shipping; streaming for television shows, music and movies; and specialty services such as Prime Pantry and Prime Wardrobe. Prime members get exclusive access to Prime Day, an annual, one-day only sales event that Amazon holds just for those with Prime accounts. The annual fee for Prime is $59 per year for students and $119 for non-students. It is offered for free for a 30-day period. If the business already has a membership with Amazon Prime when it signs up for Amazon Business, it retains access to all the benefits of Amazon Prime. Only the main account holder is able to access the television episode and movie library features, though. The only way the employees of the business with shared accounts can access Prime is by signing up for their own individual accounts. All business owners can receive an Amazon Business membership for free. Businesses tend to buy in bulk more frequently than consumers, hence the free membership. The business owner is required to complete a short form prior to receiving an instant membership with its extra benefits and selected tools. The shipping fees are based on the number of users in the business. For 10 or fewer users, the cost per year is $499. The fee increases to $1,299 per year for a maximum of 100 users. If the total users exceed 100, the fee is $10,099. Amazon Business is free to try for 30 days. If the business is planning to sell products online, this is considered a professional selling account. This type of account does have additional fees. Professional sellers pay a monthly subscription fee of $39.99. There is also a referral fee, which depends on the category the business fits into. Technically, no account fees are exist. A lot of businesses can use ATEP, or the Amazon Tax Exemption Program. This provides small businesses with an opportunity to receive a tax exemption on purchases. On Amazon, there is a tool any business can use to see if they qualify for this tax exemption. The tool also checks for states that enable businesses to receive tax exemptions and for exemptions that are available for certain types of organizations. The process must be completed by the account administrator for the business to qualify. Another advantage of ATEP is the ability to use a tax-exempt status for not only Amazon purchases but purchases made through their affiliates as well. Amazon Business uses an analytics dashboard to provide transparency for all purchases made on their supply chain. Businesses are able to examine their total costs and spending at the group level or individual level. This enables small businesses to have more control over their bottom line. Because small businesses are able to reach their customers all over the world through Amazon Business, the opportunity for growth is high too. The majority of business owners find Amazon Business worth it because not only is it free but it has many perks too, such as analytics tools and shared accounts. A business representative who is unhappy with the program can easily revert the account to an individual user account. The Amazon website has a business page showing all the programs it offers for the owners of small businesses. Numerous businesses advocate for the benefits of the tax exemption program; they have stated how easy it is to use and to make tax-free purchases. Business owners have also said that it is easy to order office supplies quickly and that the products arrive within two days. Savings are especially high on larger purchases. It is also possible to divide these costs among different departments in the company. The ability to purchase products in bulk is a real value-add for businesses because it allows them to offer bulk pricing for customers, boost sales, attract new customers and provide VIP customers with special discounts. In general, new customers spend more because they usually establish a corporate or a business account. One of the main reasons Amazon Business is a win for small businesses is because it provides them with the ability to reach their buyers directly, thereby offering a way to both increase profit and sales growth. In spite of the many reasons for and advantages of getting an Amazon Business account, not every business will be a fit. One major catch is when it is used to conduct both personal and commercial business. When personal and commercial purchases are mixed together, it can make tax time incredibly complicated for the business. The big issue is trying to figure out which purchases were made for the business and which were for personal use. It is also important to note that a mixed account can easily result in much higher fees when it comes to tax preparation. Prior to signing up for Amazon Business, a business owner should speak with their tax accountant regarding whether the company really should mix organizational and personal purchases. The shipping fees are another downside. If the account holder does not have Business Prime Shipping, the shipping fees can add up quickly. This is especially true if the business is shipping internationally. For example, there are additional fees for Business Prime Shipping based on how many users are linked to the account. Another issue is Amazon Business impacts anyone who already had a Prime account. Instead of there being no minimum purchase amount for free shipping, a $50 minimum order is needed to qualify. Some business owners may feel Amazon Business is a downgrade from their Prime service as a result. If you plan to buy small amounts, Amazon Business may not be a fit because minimums are required to qualify for bulk discounts. For example, twenty computers are not considered a bulk order and will not be discounted! Amazon Business does not provide recommended orders to their customers, and the discounts received are often less than the amounts small businesses expect. For the most part, Amazon Business is extremely beneficial for small businesses. It provides perks, benefits and services important for the growth and profit margin for businesses. The tax tools provide essential services that have enabled numerous businesses to receive exemptions they were previously unaware existed. Businesses also gain access to millions of products, and many of them are available at discounted pricing. This helps eliminate hundreds of suppliers and streamline business practices. Many small business owners rate Amazon Business highly. The account is free and is advantageous for small businesses to sign up to view the benefits firsthand. One of the major disadvantages of Amazon Business results when a business owner uses the account for personal purchases. This usually results in complications at tax time separating business and personal costs. Another disadvantage is the cost of the shipping fees, which can exceed $10,000 per year if an account has over 100 users. On the whole, the benefits outweigh the costs and the pros beat the cons, but it is best to evaluate for your specific needs.